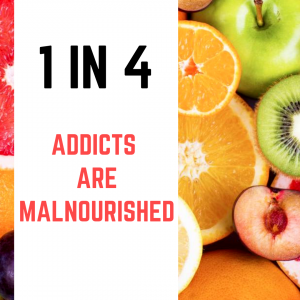 Did you know 1 in 4 addicts is malnourished and half are vitamin and iron deficient? Recovery is hard enough, but when you add nutritional deficiencies on top of that it can make recovery feel impossible. 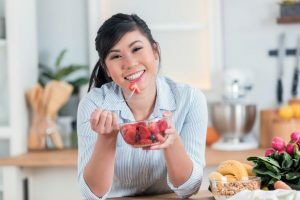 Here at Gentle Wellness Center our Certified Nutrition Specialist (CNS) and Naturopathic doctor is passionate about using nutrition to help support recovery. How Does Addiction Cause Nutritional Deficiencies? Ingesting drugs or alcohol wreaks havoc on the body and depletes the body of nutrients. It’s very common for addicts to have multiple nutritional deficiencies and have weight issues. Alcohol impedes nutrient breakdown and assimilation resulting in nutritional deficiencies. Opiates tend to cause gastrointestinal issues, and, during opiate withdrawal, severe vomiting and diarrhea can lead to nutrient depletion. Stimulants suppress appetite which can lead to an insufficient intake of calories and nutrients. Poor Lifestyle: Addicts tend to choose unhealthy food as well, leading to nutrient deficiencies. In the same way we prepare our children for big tests with brain healthy food, we need to fuel those struggling with addiction with the types of food and nutrition that support their recovery. Addicts cannot give their all to recovery and overcome huge challenges when they are nutrient deficient or malnourished. In fact, recovering addicts with bad dietary habits are more likely to relapse than those with good dietary habits. Recovering addicts often have damaged organs or their body isn’t running efficiently because of a lack of nutrients. Proper nutrition allows recovering addicts to feel better because the nutrient rich foods help give their body energy, help build and repair organ tissue, and strengthen the immune system. Nutrition provides the body with the tools it needs to heal itself from the damage addiction has caused. If you’ve ever gotten “hangry” when your blood sugar drops after not eating for an extended amount of time or if you’ve ever gotten sleepy after eating a big carb filled meal, you know that what you eat can affect your mood and behaviors. Research backs this up. Studies have shown that changes in your diet can alter brain structure and influence your behavior. Eating certain foods has also been tied to increased production of neurotransmitter, such as serotonin, which improves mood. Without the right food, the body suffers whether you’re an addict or not. By fueling your body with a balanced diet, you are healing your body, improving your mood, and giving yourself a great leg up when it comes to your recovery. If your interested in using nutrition to support your recovery contact us or give us a call at 703-436-1512.